I don't know about your tailgate, but out tailgate is HOT. As in you feel like you are melting when you stand outside. 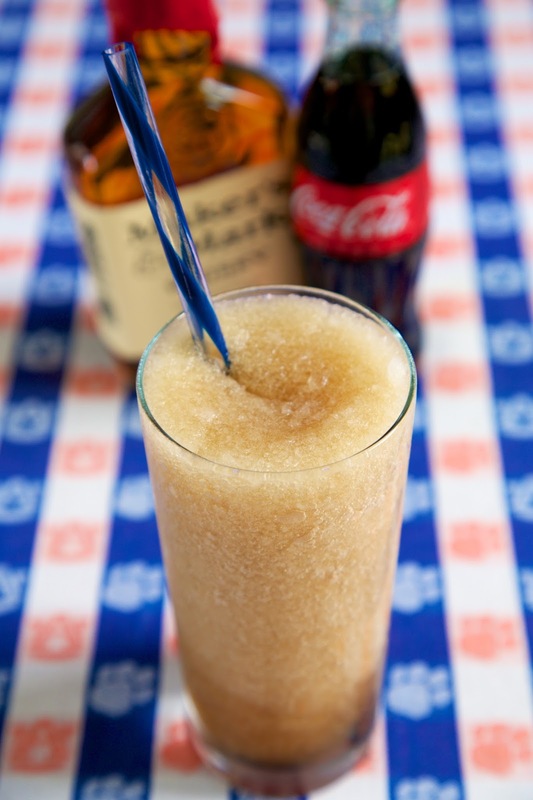 These Frozen Bourbon and Cokes are a great way to beat the heat! They also taste great! It is like a grown up ICEE. YUM! I used Maker's Mark, because that is our favorite bourbon. Use whatever bourbon or whisky is your favorite. These are guaranteed to be a hit. Make sure you have a cooler full of ice, so you can blend these up before, during and after the big game! 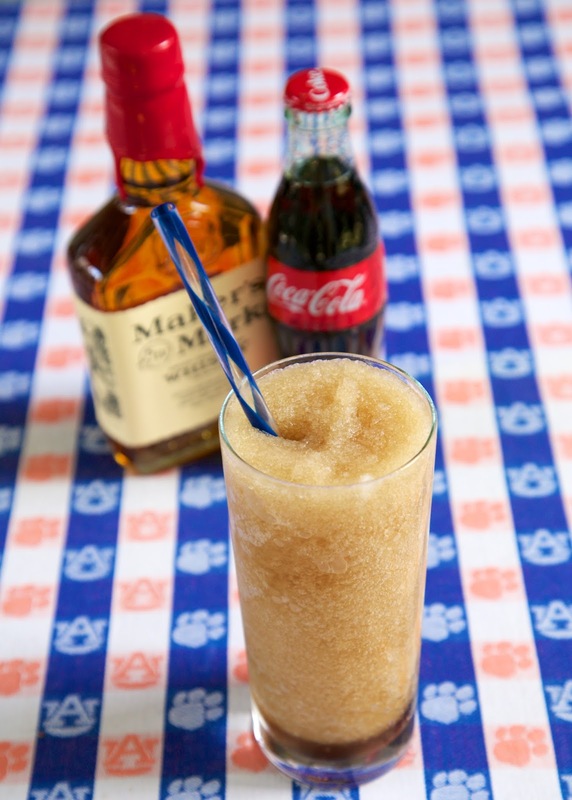 Place ice and bourbon in blender and crush the ice. Pour in coke and blend again. Add more ice or coke until you get the consistency you like. Pour into cup and enjoy!